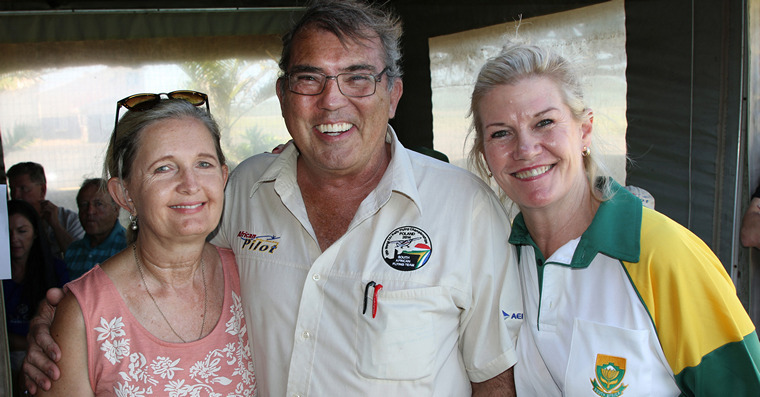 The SAPFA Fun Rally team hit Virginia on Friday 2 March 2018 for another of the series of rally events that are held throughout South Africa. 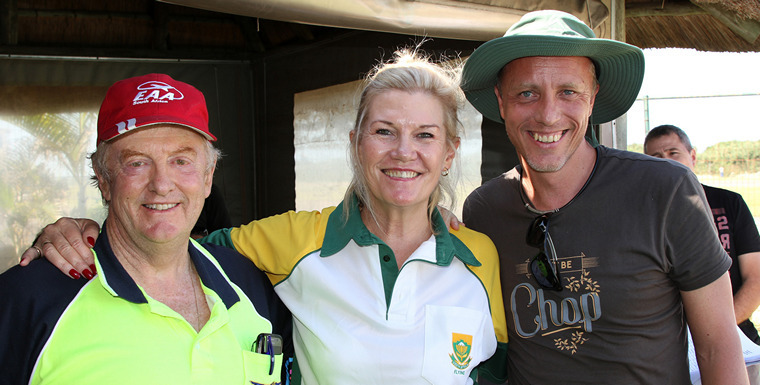 As usual Mary de Klerk was the driving force and she spearheaded the organisation of the rally. As happened last year, the afternoon was used to introduce new pilots to the concept of rally flying and equip them with the tools to successfully complete the event. More experienced pilots, used the session to refresh their skills. These events are a unique way for upcoming pilots to mix with some of the best and most experienced in the country. 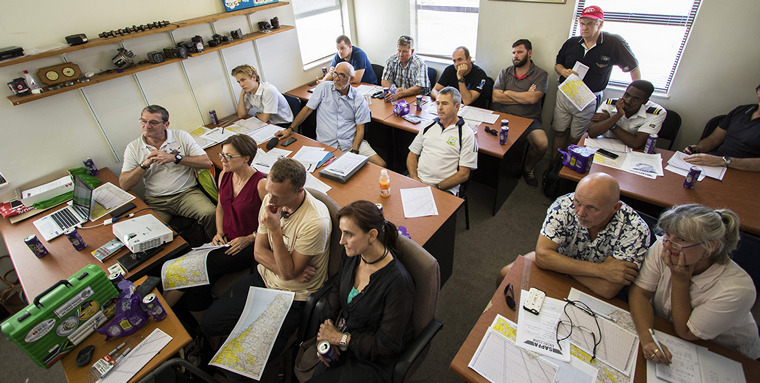 The training and plotting session was once again held in the DAC (Durban Aviation Centre) training room. Durban Wings Club's committee member responsible for flying events, Brendan Adams, welcomed the pilots and outlined the housekeeping and advised that the club would sponsor two rounds of drinks and boerewors rolls on Friday night, breakfast on Saturday and student subsidies for half of their event entry fees. Cost of entry was R200 per person. In addition, the DWC put up R1000 in prize money and Mike Wright also donated flying magazines and annuals as prizes. This year a pleasing total of fifteen crews entered and if this growth continues at other SAPFA rallies at Virginia, a larger training room will need to be found. 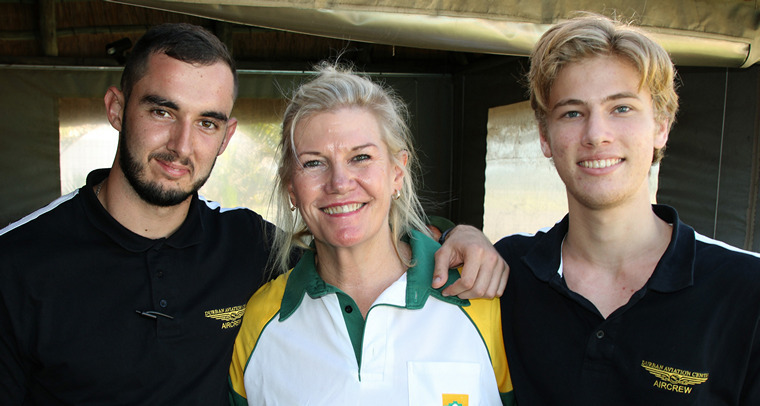 For this round it was pleasing to see many entries from Gauteng pilots as well as crews from Scottburgh and Ballito. Several aircraft made the trip down from the reef including the tiny Ikarus of Marie Reddy. It is hoped that this outside participation will inspire more locally based pilots to take part next time around. Mary also explained the different classifications in rally flying. 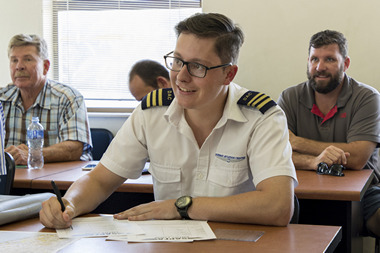 The advanced section is restricted to pilots who have been given Protea colours and who have competed in a Word Championship competition. The sportsman class is where either the pilot or the navigator is a Protea who has competed in a world competition event. They fly with a new rally pilot with the aim of grooming them and bringing them up to the level of a Protea, to maintain continuity of the high standards South Africans have previously attained. The fun section is for all where the aim is to give them exposure to this type of flying, to have fun but also to provide candidates who could represent the country in the future. Mary took the participants through the various procedures that the crews would need to follow and advised them how to plot their tracks and add minute markers etc. She also explained many of the tips and tricks that would enable them to do well. 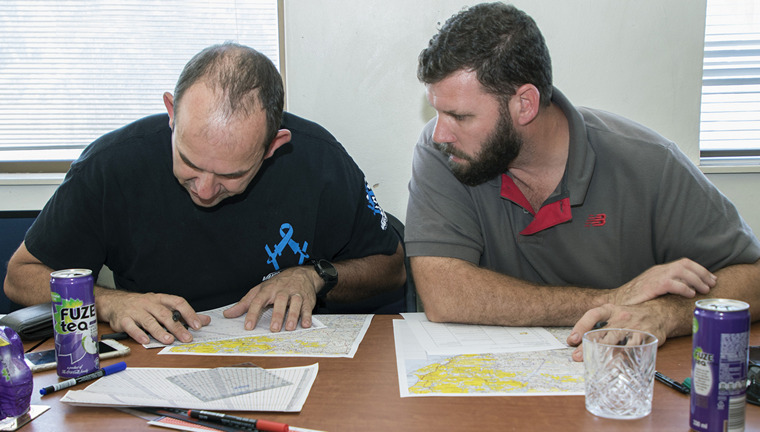 After this, time was allocated for the teams to begin plotting their routes. Thereafter there was a flurry of concentrated activity, with maps, markers, rulers, dividers, minute marker sheets (among other tools) being used to mark their maps. On completion Mary took everyone through part of the course using Google Maps, so that they could see a preview of what to expect the following day. Mary de Klerk�..Fergus Snow, last year's winner in the fun section. Chareen Shillaw and Brian Laurean. Dirk Grobler and Russell Mann. 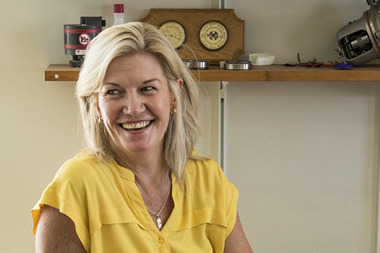 Enthusiastic as ever Mary encouraged everyone to raise their sights and to try and win a coveted green Protea blazer prior the World Rally Championships which are to be held in South Africa in 2020. After the session ended and entry forms and indemnities had been completed and signed and entry fees had been paid, all involved headed for the Durban Wings Club for well-earned refreshments. There was much teasing and psyching out of the opposition teams. All in jest of course and a fun time was had by all. While the entrants relaxed and discussed the day ahead Mary and her helpers were busy at the computer entering the entry data and the elected speeds. 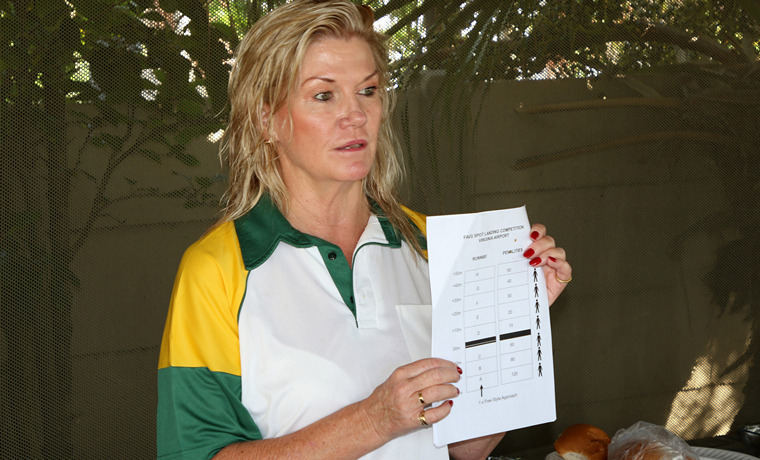 In her normal unflappable way, amidst a sea of people in the club (regulars and visitors), she managed to produce and print the lists of the competitors start and finish times. These were handed to the teams. 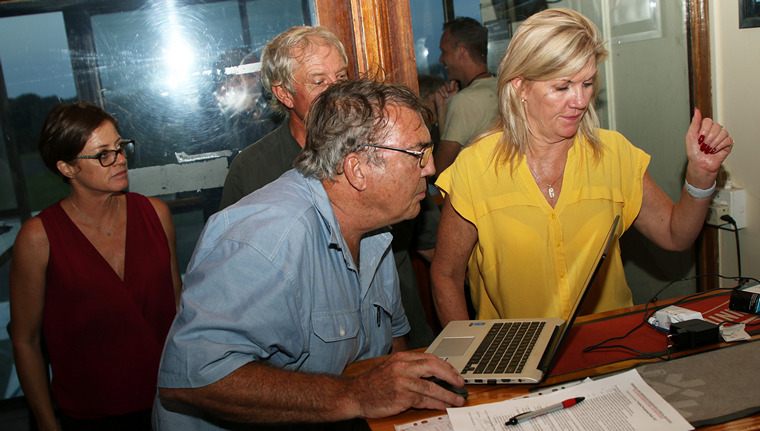 Mary de Klerk and Frank Eckard at work in the pub, helped by Chareen Shillaw and Thys van der Merwe. 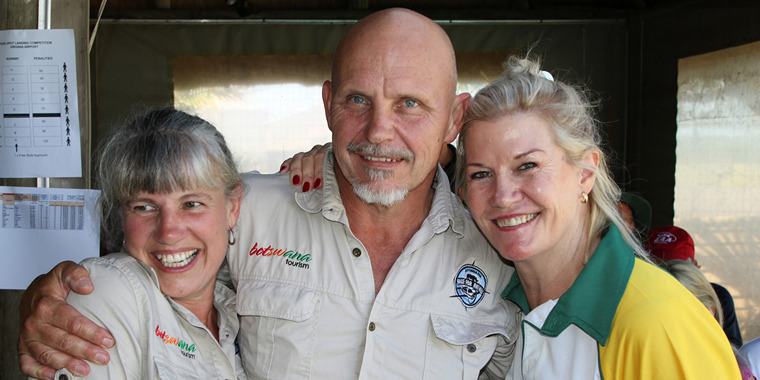 DWC manager Dave Harrington was once again assisted by his wife Alwina. 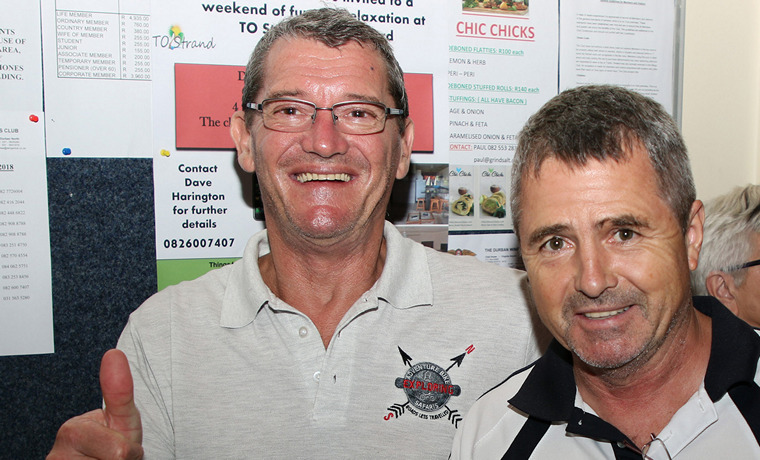 They ensured the pub ran efficiently and organised the pool and braai area and food on behalf of the Durban Wings Club. When crews gathered in the pool area on Saturday morning the weather was glorious with a little wind and bright sunshine. As the morning progressed the wind became stronger from the north east and there were some overcast patches before the sun was out in force again. Andrew Lane and Chareen Shillaw relax before the start. Crews were treated to breakfast courtesy of the DWC and many could be seen making hurried final preparations for their flights. A couple of people had to find last minute crew replacements due to illness and unavailability. Start times and sector times were confirmed and Mary briefed everyone on the rally format for the day and explained the spot landing scoring. Mary explains the spot landing scoring. John Neilon then advised on the safety aspects and the frequencies to be used. All watches were synchronised with the event's official clock and the event started with the first aircraft airborne at 09:30. This was the Van's RV-4 of Dirk Grobler and Russell Mann. Their elected speed was 100 knots. The following aircraft took part in the rally: There was a Chipmunk, a Cessna 182, a Cessna 172, a Van's RV-4, a Sling 4, a Sling 2, two Jabirus, a Sportsman, a Harmony, a C42 Ikarus and three Cessna 152s (one of which flew twice.) The crews nominated their cruise speeds, varying from 100 knots for the RV-4 to 65 knots for the little Ikarus flown solo by Marie Reddy. All the participants prior to the start. Winners Mark Warren and Steve McCurrach with their Harmony just prior to the start. Andrew Lane checks his Sling 4 prior to departure. Aircraft departed Virginia at 5-minute intervals. The course commenced on the coast to the south of Durban and then followed varied sectors inland before returning to the coast to cross the finish line. The only small irritation on the day were a couple of crews saying that they had been sent off too early and this had meant them having to circle for a while just prior to crossing the start line. This was a minor factor in a very successful day. 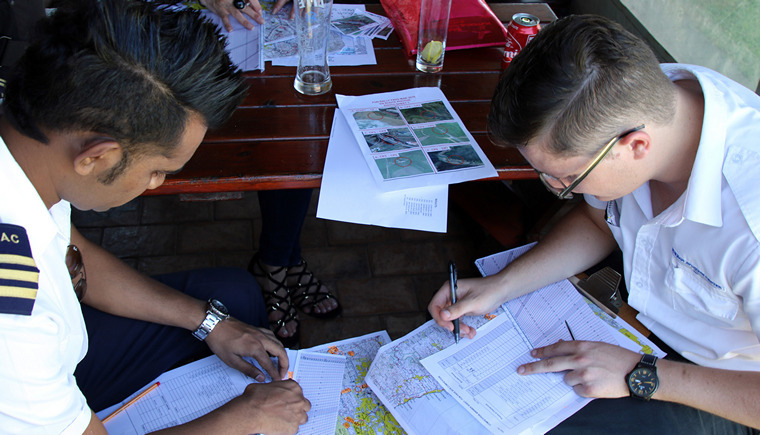 The teams then spent just over an hour finding their way around the KZN inland area. Frank Eckard and Cally Eckard - ZS-DOS - C182. 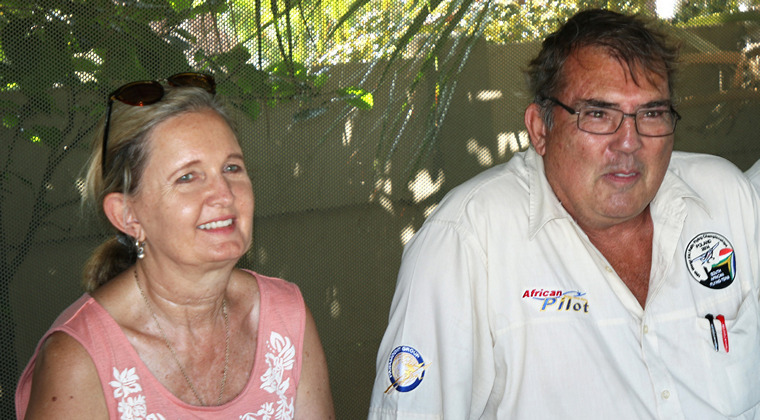 Jica Coelho and Fergus Snow - ZU-FDZ - Jabiru. Bennie du Plessis and Franz Smit - ZS-OHM - C152. Thys van der Merwe and Leon Boutell - ZS-ETO - C172. Mark Warren and Steve McCurrach - ZU-TRG - Evektor Harmony. 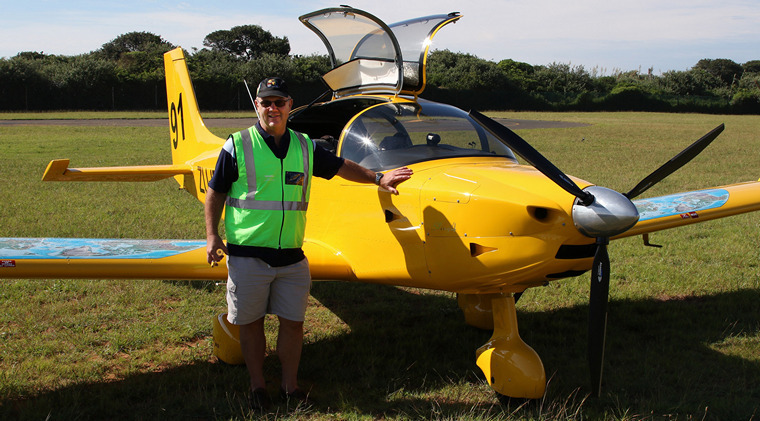 Dirk Grobler and Russell Mann - ZU-CDK - Van's RV-4. Andrew Lane and Chareen Shillaw - ZU-IBM - Sling 4 (Chareen photographing the photographers!). 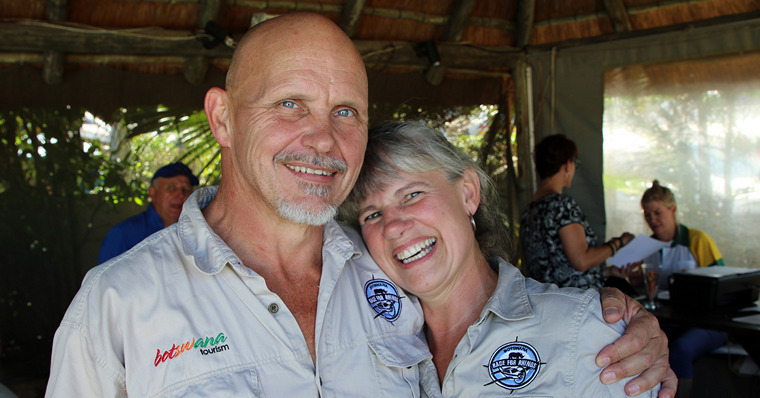 Pierre van der Merwe and Sandy van der Merwe - ZU-FWY - Sling 2. Les Rhind and Lance Poynter - ZS-OWJ - Chipmunk. Malcolm Mercer and Murray Nel - ZU-FEZ - Sportsman. Alistair Matthews and Brian Laurean - ZS-PLS - C152. Taylan Ayliffe and Chris Gillespie - ZS-PLH - C152. 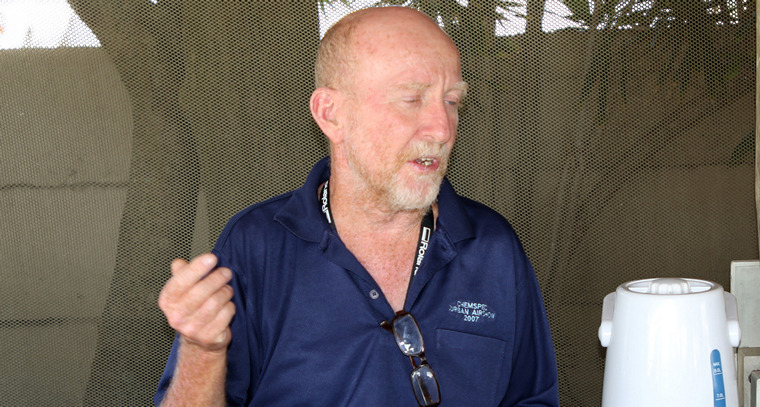 Shane Britz and Mark Clulow - ZU-FEP - Jabiru. Fergus Snow and Nishon Thulsi - ZS-OHM - C152. Marie Reddy - ZU-EEE - Ikarus. After crossing the finish line aircraft returned to Virginia perform a spot landing and this score formed part of the overall classification. 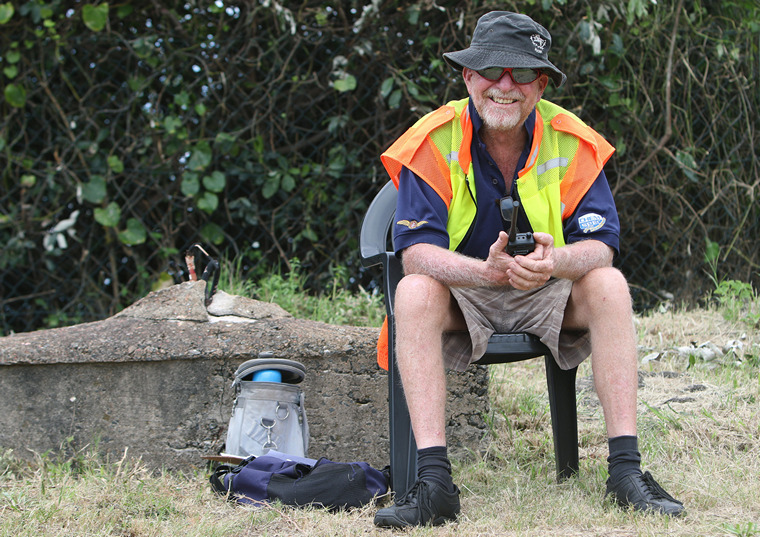 As has become an institution now, safety officer John Neilon manned the spot landing cones, doing an admirable job in the unpleasant heat and humidity. John Neilon manning the spot landing line. The spot landing proved to be challenging for most contestants with aircraft floating much longer than one would normally expect. At the end of the rally, crews got together and braaied and discussed the exploits of the day. There were tales of missed and wrong tracks and other deviations. Everyone spoken to said they had a lot of fun and at the end of the day, this is what it is all about. As Mary said earlier, it was not about winners and losers it was more about learning and experience. All participants brave enough to put their skills on the line would go away with that little bit of extra knowledge that would make them better pilots. Fergus Snow and Nishon Thulsi putting in the finishing touches. 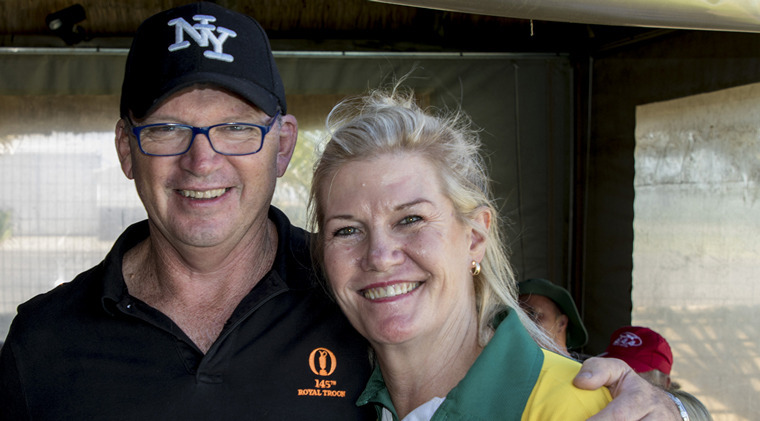 Pierre van der Merwe and Sandy van der Merwe. Before Mary presented prizes and certificates to the pilots, she reminded everyone that they had a spot landing world champion in their midst, namely Frank Eckard. She praised those who had taken part and trusted that they had all enjoyed the experience. - Dirk Grobler and his children (Russell Mann had left). 1st Frank Eckard and Cally Eckard - ZS-DOS - C182 - 10 points. 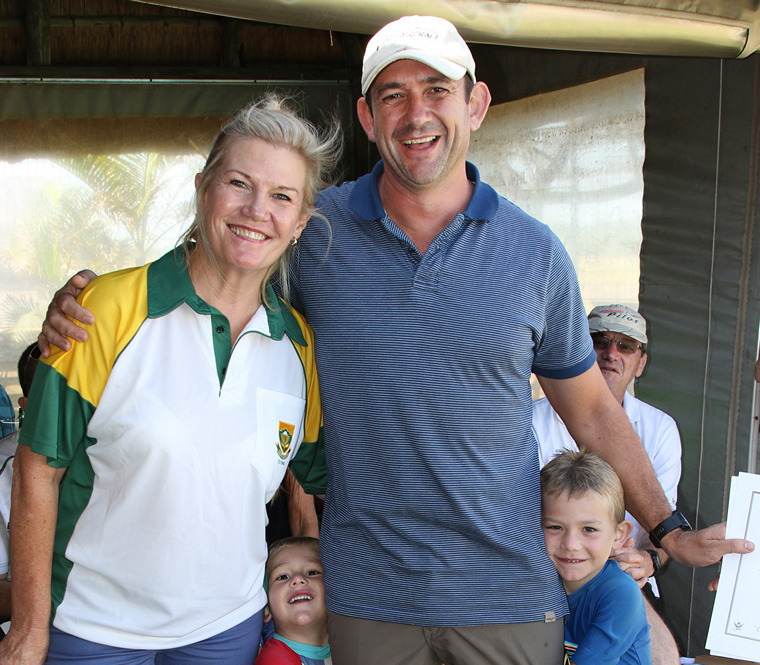 2nd (tie) Pierre van der Merwe and Sandy van der Merwe - ZU-FWY - Sling 2 - 20 points. 2nd (tie) Taylan Ayliffe and Chris Gillespie - ZS-PLH - C152- 20 points. 2nd (tie) Malcolm Mercer and Murray Nel had left.- ZU-FEZ - Sportsman - 20 points. All in all, a very successful air rally. Entries were up from the last event at Virginia and it is hoped that the upward trend will continue in future SAPFA rallies at this venue. It was fantastic to see the visiting Gauteng crews and their aircraft. Coastal flying is spectacular so it is hoped that more out of province competitors will be encouraged to take part. Also of course more KZN pilots need to enter and encourage their friends as well.